Trump tells CBS he would hold Russian President Vladimir Putin responsible for interference in 2016 election. 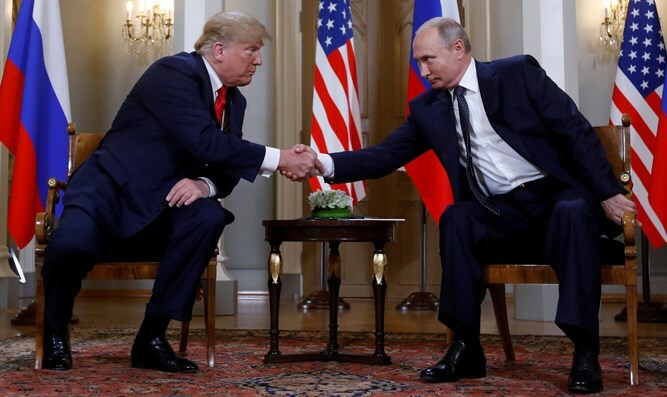 U.S. President Donald Trump said on Wednesday that it is "true" Russia meddled in the 2016 presidential election, and stressed he would hold Russian President Vladimir Putin responsible for interference. In an interview on CBS News, Trump said he has stated "numerous times before" that he agrees Russia meddled in the 2016 election. Asked if he would hold Putin personally responsible for the meddling, Trump replied, "Well, I would, because he's in charge of the country. Just like I consider myself to be responsible for things that happen in this country. So certainly as the leader of a country you would have to hold him responsible, yes." The president's comments came after his press conference with Putin in Helsinki, Finland, on Monday, in which Trump appeared to say he had no reason to believe Russia interfered in the 2016 election.